The New York Times has a recent article on The High Cost of Failing Artificial Hips that does a good job of outlining the the cost related to the seemingly epidemic failure of the metal-on-metal hip implants from DePuy and others. If you’ve had a hip replacement in the last 10 years, I would recommend that you read it here. 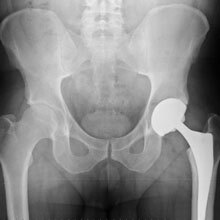 If you have a DePuy ASR or Pinnacle metal-on-metal hip implant, I would strongly urge you to contact me to discuss your rights. Even if you are not currently experiencing problems with your hip replacement, you should be aware of the pending litigation and what you should do. To be clear, there is no class action currently pending for these implants and I don’t anticipate that there will be. What is in place is called a Multi-District Litigation that has some of the characteristics of a class action, but differs in many ways. The most important difference is this: If you don’t file a lawsuit, your interests will not be protected and you will not receive a settlement. In the typical class-action anyone who can be identified as having received the defective product will receive notice of a settlement. That is not true in a Multi-District Litigation. If you have had a DePuy ASR or Pinnicle, a Zimmer Duron or any other metal-on-metal implant, please contact me immediately at 1-800-557-8176 or see my website at www.stlmedicalmalpractice.com. If your lovely Aunt Shelby give you a ShoulderFlex massager for Christmas … well, you don’t even want to re-gift this thing. And whatever you do, don’t use it! The ShoulderFlex massager by now bankrupt King International was recalled in August. NPR reports that the FDA recalled the device because clothing, hair and jewelry can get tangled in the device’s rotating parts. There were reports of one person being strangled by the massager and at least one other near-death by strangulation. Before the recall process could be completed, King International went into bankruptcy. The toll-free recall number has been disconnected. Many consumers who purchased the product may not have been advised of the recall. If you own one, take it back to the store where you purchased it. After all, you don’t want to end up on one of those “news of the weird” shows. The Kansas City Star is reporting on the changes in recent Federal regulations that prohibit journalists and others from using information contained in public databases to identify physicians with dozens of instances of medical malpractice and violations of drug regulations. You can read the full story here. According to the Star’s review of the Federal database, Practitioner 222117, in just a 4 year span from 2002 through 2006, had his (or her) license suspended or revoked in 20 states and the District of Columbia! Two professional societies took away his memberships. The Department of Health and Human Services banned the doctor from billing Medicare and Medicaid. And the Drug Enforcement Administration revoked the doctor’s permit to prescribe controlled drugs. For most of that time, his home base was Missouri. A surgeon who lost or settled 247 malpractice cases in California in the 1990s. A doctor who had drug or alcohol problems and has been in and out of trouble since 1991 with hospitals and licensing boards in at least 5 states. A Missouri doctor whose staff privileges were suspended or reduced by hospitals 7 times and voluntarily surrendered hospital privileges on 4 other occasions. And HHS is publishing rules to prohibit anyone from using their database to identify and out these people? Are you kidding me? This is why I do what I do. At least on a case by case basis, I can help someone get justice. Distracted Doctoring? As Dangerous as Distracted Driving? The New York Times is reporting on a phenomenon they are calling distracted doctoring: concentrating on a computer or smartphone rather than the patient. And the risks to patients are tremendous. The article notes instances such as doctors making personal phone calls during operations, technicians monitoring bypass procedures texting and operating room nurses checking their phones for air fares. Obviously, if they aren’t concentrating on the patient, the patient is at risk. 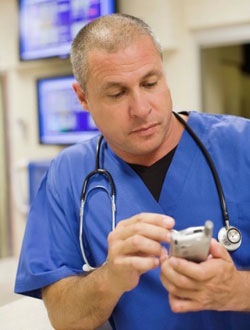 One physician quoted in the story refers to the smartphone or tablet computer as “iPatient.” The iPatient is getting all the attention instead of the real patient. Smartphones and tablet computers are wonderful technology devices that give doctors and nurses access to a patient’s extensive medical records and virtually unlimited reference materials. However, the fact that the same devices can be used to surf the web, text and access Facebook, puts an area of distraction readily available, when the health care giver should be concentrating on the patient. 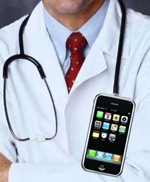 Like electronic medical records, smart devices are tools. Unfortunately, they can, and will, be abused. If you are interested at all in our justice system, I highly recommend the American Association for Justice’s blog Fighting For Justice. Today, more than ever, American’s right to access the justice system is under attack. Everyone should stand for strengthening our justice system, not weakening by imposing laws which limit individuals access to the system in order to protect the interests of multi-billion dollar corporations and insurance companies. Don’t be fooled by rhetoric that tries to say that “tort reform” will protect doctors and small businesses. The statistics show that simply isn’t true. The only ones to benefit from these reforms are the insurance companies, who see their profits rise every time new restrictions are put in to place, and then do nothing to pass on their savings to their insureds. Doctors and small businesses should band together with those of us who spend our lives protecting the individual and fight for insurance reform, not tort deform. 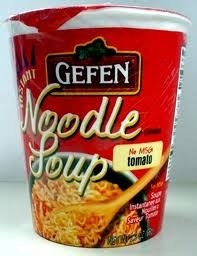 The innocuous “instant soup” cups. You know what I’m talking about. The dry soup mixes that come in a cup and you simply add boiling water, let stand for a minute or two and “voila”–instant soup. This seemingly simple product is masking a very real danger. Multiple times each week, burn centers across the country receive patients suffering burns caused by instant soup. And the doctors agree–the packaging of the product is simply defective. The cups are lightweight and tapered to a smaller bottom and thus are easily tipped over, sending scalding contents spilling onto people, causing severe burns on the arms, chests and laps. And because noodles retain the heat longer, they can actually cause worse burns. The answer is simple, say the doctors: redesign the package into a bowl like configuration that is not as susceptible to tipping over. If you or someone you know has been injured as a result of a defective product, please contact Todd N. Hendrickson at HendricksonLaw.com. for a free consultation.